France has sunk a little deeper into political paralysis with the corruption probe against Nicolas Sarkozy. The former president, who denies the charges, has been put under formal investigation for trying to convince a judge in France’s highest court to tell him about one of the many judicial probes of his behaviour. 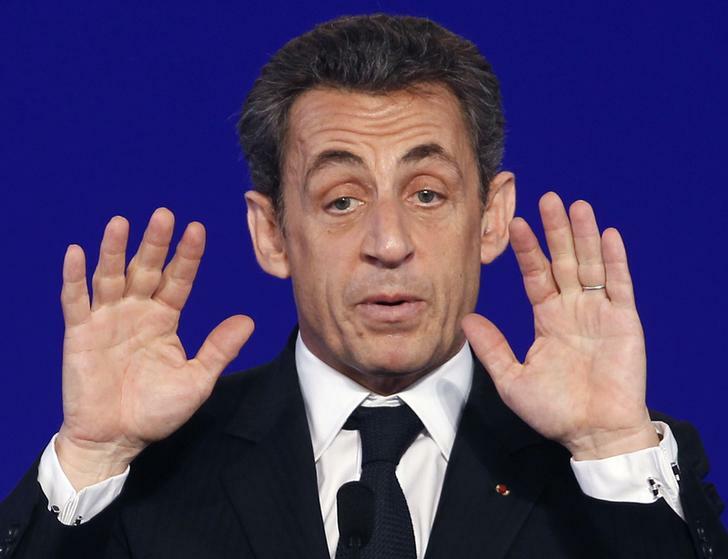 That adds another obstacle on the road to Sarkozy’s mooted political comeback. But the ruling socialists have nothing to cheer about. The whole French political establishment is tainted by a long series of corruption scandals. President François Hollande’s popularity is at record lows. He doesn’t seem able to control either his cabinet ministers or his parliamentary majority. The ultra-right National Front is thriving. And Europe’s second-largest power is slowly drifting towards economic stagnation just as it would need a strong government to convince the French on the necessity of reform. The two main political parties are too focused on their debilitating problems to contribute much to the public debate. So the French are caught in the spiral of austerity without perspective. The government has chosen to do its best to try to meet the EU-imposed deficit targets through spending cuts and targeted tax increases. What would make sense if the economy was booming is self-defeating when the unemployment rate remains stuck above 10 percent while GDP is barely growing – by only 0.7 percent this year according to the national statistics institute. France needs sound debates on, among other things, the liberalisation of services, the weight of the public sector in the economy, and a reform of the idiotic tax system. That can only happen if the government is respected and the opposition is strong – neither of which is the case. Markets aren’t concerned yet. The stock exchange is up 4 percent this year – in line with Germany’s, and much more than the UK’s. Government bond yields are at all-time lows, and spreads with 10-year Bunds have halved since their January high. Investors know that the French economy has long been remarkably resistant to successive governments’ attempts to bring it to its knees. That resilience shouldn’t be taken for granted. France's President and UMP party candidate for the 2012 French presidential elections Nicolas Sarkozy delivers a speech during a political campaign rally in Cernay near Mulhouse, April 25, 2012. Former French President Nicolas Sarkozy was placed under formal investigation on July 2 on suspicions he tried to use his influence to thwart an investigation of his 2007 election campaign, the prosecutor’s office said. Magistrates are looking to see whether Sarkozy used his influence to secure leaked details of an inquiry into alleged irregularities in his victorious 2007 campaign. He is suspected of influence-peddling, corruption and benefiting from “the breach of professional secrets,” the office said.